Python is an open-source object-oriented, high-level programming language created by Guido van Rossum in 1989. Python offers tremendous amount programmer productivity increases over other languages like C, C++, Java, C#. Combined with dynamic typing, dynamic binding and high-level built in data structures, make it suitable for swift application development. Python supports packages and modules, which boost code reuse and program modularity. Same the important advantages of python, over other language are listed below. 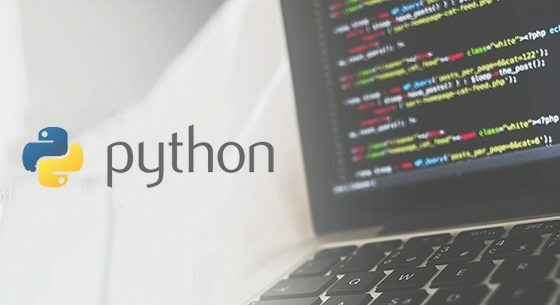 The Python Package Index (PyPI) contains plenty of third-party modules that make python suitable for connecting and interacting with most of the other major platform and languages. Python gives a great standard library which consolidate zones like web protocols, web administrations instruments, operating system interfaces and string operations. Standard library in python is scripted with a diverse amount of high level programming which decreases the length of cord to relatively. Python is developed under an OSI-approved open source license and community already includes a large Linux and academic. The python’s license is administered, making it freely usable and distributable, including for many academic use cases in both math and science and commercial purposes. programming language was easy to code and learn. The common expressions trims out a lot of programming fat, allowing to shorten the length of the code. The code style rules, PEP 8, give an arrangement of rules to encourage the designing of the code. Python lets the developer to build more functions with fewer lines of code. And it is an attractive programming language for novices due to its readability and efficiency. One of the important advantages of python is, its built-in list and dictionary data structures promotes to build a faster run time data. Python as a strong interpreter which keeps track of all variable types. Dynamic high-level data typing is an optional feature in python, which shortens the length of support code if needed. Speed and productivity plays an important role programming language . Python has clean object-oriented design, which boost the process control capabilities. Strong capabilities of python like integration, text processing and own testing framework, contribute to the increase in its speed and productivity.